Relax. This non-sulfate surfactant cleanser rids your skin of impurities without harsh chemicals or stripping it of vital moisture. An exotic blend of Cucumber Fruit Extract, Jojoba Seed Oil, Sandalwood, Bark and Barley Extracts leaves skin soft and supple, while Vitamins C and E protect and defend. 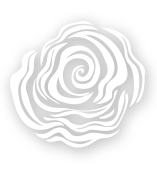 Non-toxic surfactants cleanse skin gently and effectively without stripping the epidermis of vital moisture. Humectants team up with sandalwood, bark and barley extracts to improve skin hydration. Vitamins C and E, known for their antioxidant properties, help guard against free radical damage. 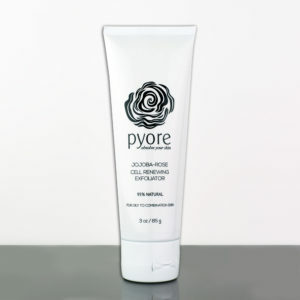 Massage cleanser evenly over damp skin. Use morning and evening. 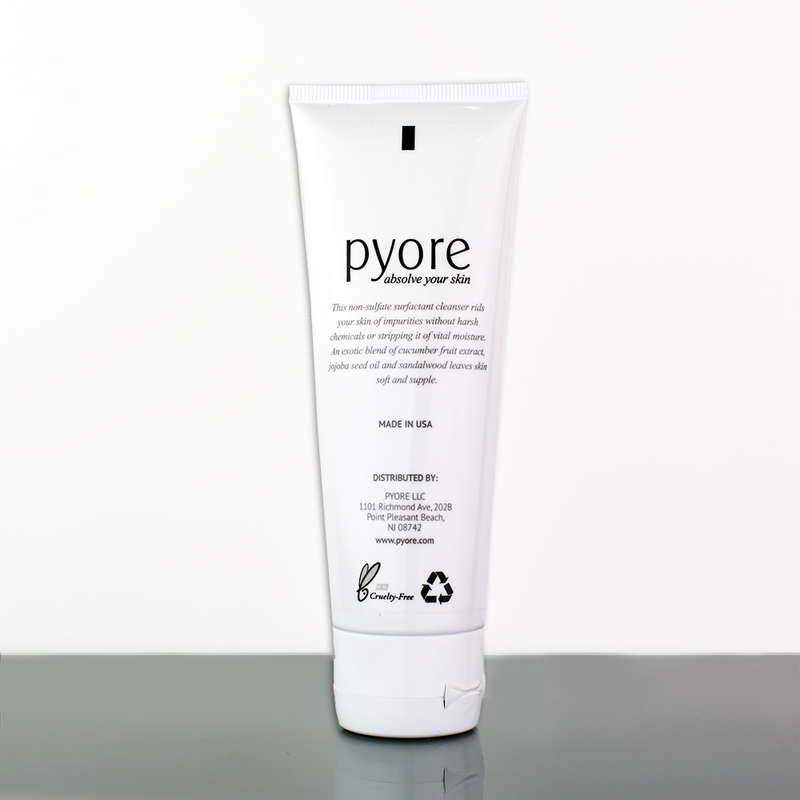 Follow with Pyore moisturizer. Water (Aqua), Decyl Glucoside, Cetyl Alcohol, Stearyl Alcohol, Glycerin, Simmondsia Chinensis (Jojoba) Seed Oil, Sorbitol, Cocamidopropyl Betaine, Sodium Hyaluronate, Cucumis Sativus (Cucumber) Fruit Extract, Cetearyl Alcohol, Xanthan Gum, Sclerotium Gum, Lecithin, Santalum Album (Sandalwood) Extract, Phellodendron Amurense Bark Extract, Hordeum Distichon (Barley) Extract, Tetrahexyldecyl Ascorbate, Tocopheryl Acetate, Phenoxyethanol Caprylyl Glycol, Ethylhexylglycerin, Hexylene Glycol, Citric Acid. 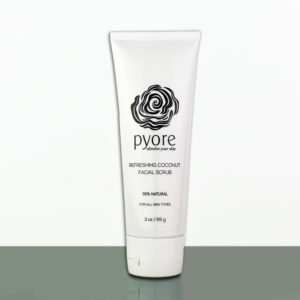 Great cleansing lotion! Leaves skin feeling clean but not dry. This cleansing lotion works great on oily skin. I have tried many brands before that claim to balance oily skin but they dont. My skin feels moist during the day without looking shiny and feeling oily. The cucumber cleansing lotion works great on oily skin. I have tried many brands before that claim to balance oily skin but they dont. My skin feels moist during the day without looking shiny and feeling oily. The cucumber lotion works great on oily skin. I have tried many brands before that claim to balance oily skin but they dont. My skin feels moist during the day without looking shiny and feeling oily.